This month I am sharing tidbits of L.E.A.N. Start information from the Traffic Light Eating concept as well as a little on Omega-3s. The monthly topics will give you a peek into what you’d learn in full detail in one of my L.E.A.N. Start classes. I have online classes available whenever there is a group of 4 participants or more. So, if you’re interested in diving deeper into understanding nutrition in a simple and fun way, please contact me or register at. 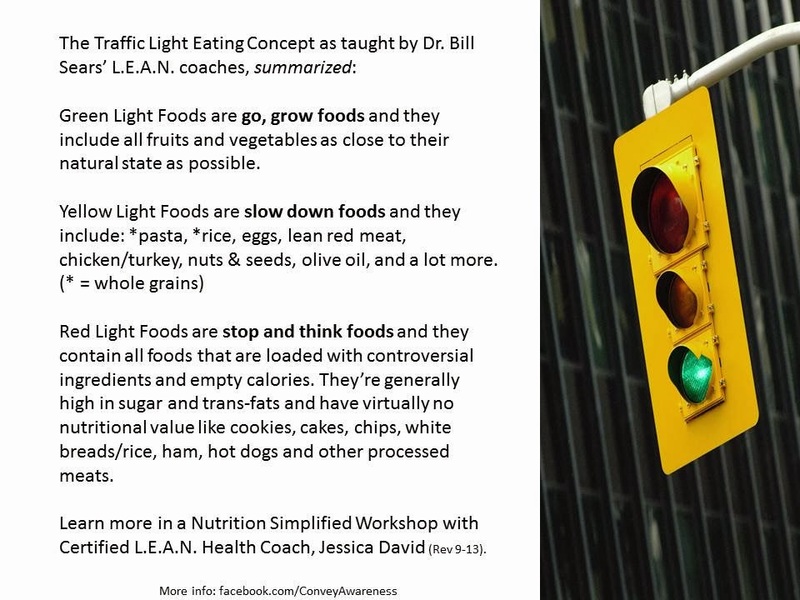 Traffic Light Eating is a concept adapted by Dr. William Sears and it helps us understand how food is categorized. It is one of the best ways to eat healthy. The “N” in L.E.A.N. is for Nutrition and Traffic Light Eating is a way to incorporate good nutrition into your day. Sure, you can bake your own goodies but choose natural sweeteners and always wholesome ingredients and whenever possible, organic / non-GMO ingredients. Fish is a yellow light food because it’s not a fruit or a vegetable but it is still one of the healthiest foods you can eat. Salmon is rich in Omega-3 healthy fats that make our brains and hearts happy (be sure to choose wild caught)! Omega-3 is the most thoroughly researched nutrient with over 22,000 articles! Wild Pacific Alaskan Salmon is the safest, healthiest, and cleanest fish to eat. It is high in protein, B12, Omega-3 (both EPA/DHA), calcium, and it is antioxidant-rich. If you’re a vegan or vegetarian, you can obtain your Omega-3s from plant sources like flax seed/oils or by taking an algae-based supplement. You can also visit my Products page to learn about the companies that I personally recommend if you need to supplement. 4 year #anniversary with JP+!